WELCOME TO GARDEN GATE ORNAMENTAL IRON, INC. Thank you for visiting Garden Gate Ornamental Iron, Inc. online! 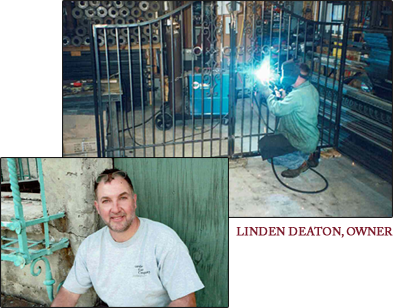 We are located in Dallas, NC and offer hand-crafted ornamental and architectural ironworks. We do projects ranging from stair railing, iron mailboxes and security bars for windows and doors, to walkway railings and custom gates. We have basic styles and decorative styles and would be happy to work with you to create a custom piece to meet your needs. Please take a moment to visit our About Us page and Photo Gallery page for more information on our services and products. Please contact us with any questions or for a quote at 704-922-1635. We look forward to hearing from you!